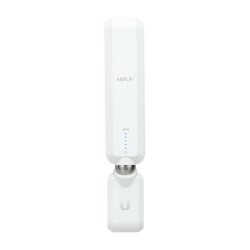 Ubiquiti AmpliFi Routers and MeshPoints are designed to work in combination to eliminate any dead spots in your home. 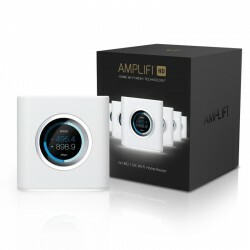 They utilize mesh technology to provide powerful wireless performance in an innovative and simple design. The Router eatures an intuitive touchscreen display and the MeshPoints display wireless signal performance.